Obituary for Norma Jean (Huston) Jarmolowicz | Edder Funeral Home, Inc.
Norma Jean (Huston) Jarmolowicz, 84, formerly of Erie, passed away on Tuesday December 4, 2018 at Pleasant Ridge Manor. She was born May 28, 1934 in Erie PA, a daughter of the late Raymond and Gladys (Cowley) Huston. Norma was raised and educated in Erie graduating from Millcreek High School in 1952. She married Vincent Jarmolowicz, on July 9, 1966. Taking care of her family and home was always her first priority. She had also been employed with Erie Resistor, Colonial Bakery, Wesleyville Bakery and cleaned homes for individuals in the area. Norma was a member of the Wesleyville American Legion Post # 571 Ladies Auxiliary, the Erie East Moose Club, and enjoyed bingo, reading, casino trips, crafts, baking and working in her garden. In addition to her parents she was preceded in death by her husband,Vincent Jarmolowicz, a sister, Joyce Hammill and son in law, Leonard DeMello. 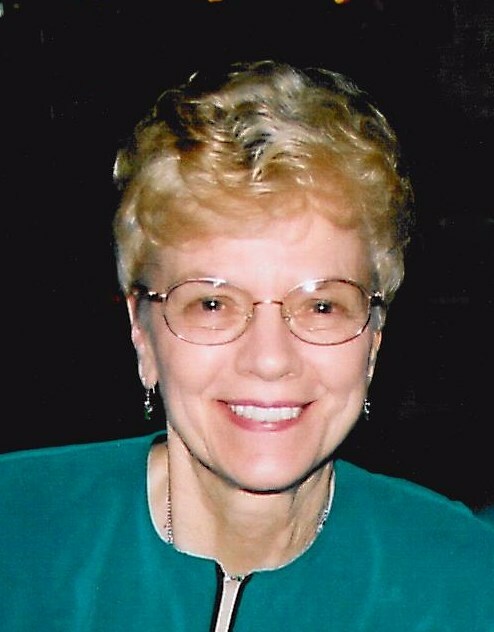 She is survived by her three daughters, Brenda DeMello of New Kensington, PA, Colleen Longstreet and her husband Marc of Fairview, and Lisa Catalfu and her husband David, of Erie; four grandchildren, Jill Fuller (Cory Migliaccio), Gregory Fuller, Katie Fisher, Brian Fisher (Jaime); five great grandchildren, Madison and Mason Fuller, Harper and Holden Migliaccio, Marshall Fisher; her sisters, Mae DeHaven, Shirley Nicklin; her brother, Arthur Huston and several nieces and nephews. Services will be held privately by the family. Norma's family would like to express their gratitude to the staff on Unit G and H at Pleasant Ridge Manor for their compassion and care for their mother over the past eight months as well as Heartland Hospice. Funeral arrangements are under the direction of Edder Funeral Home, Inc., Girard. Private interment will be in Laurel Hill Cemetery. In lieu of flowers, memorials may be made to the Alzheimer's Association, greater PA Chapter- Erie office, 1600 Peninsula Dr. Suite 15, Erie, PA 16505, or to Friends Forever at Pleasant Ridge Manor, 8300 West Ridge Rd., Girard, PA 16417.